My school diving club goes on a trip to Malta every year, to dive in the crystal clear waters and coral-encrusted wrecks of the coast of the small island. As well as enjoying the varied and colourful sea life, I also needed to complete several dives and learn new techniques in order to progress to my BSAC (British Sub-Aqua Club) Sports Diver qualification, the next step up from the Ocean Diver. The dives were far different to the ones I had in Plymouth Harbour, as this time I was actually able to see through the water, and the variety of different locations we visited was absolutely fantastic. Malta sits in the middle of the Mediterranean ocean, just below Sicily, and due to the mixture of underwater shelves, caves, reefs and sandy beds, it provides an excellent home to a wide variety of Mediterranean species, both sheltered and in the open water. Fish like groupers and bream are extremely common, and tiny carnival-coloured parrot fish scrape away at the rocky cliff faces while hunting for food. In addition to fish, I saw three octopuses while diving in an area called Cirkewwa, two of which were hiding in rocky crevasses, but one, as we ascended to the surface was out in the open, trying to blend in with the rocks on the vertical shelf. Most of the life under the ocean was completely harmless, even scorpion fish and fireworms only injuring people foolhardy enough to touch them. The moray eels, however, were more aggressive, and were known to actively lash out at people on occasion, and although this was fairly rare, we were warned to keep our hands away from them unless we wanted to lose a finger. The wrecks and swimthroughs were astounding, watching the pale blue light filter the holes in the decks of tugboats, tunnels and even an East German torpedo boat. It felt like we were exploring a piece of history, sunk down to the bottom of the ocean and forgotten about. One of the most exciting dives was into an underwater cave, navigating to the entrance, and entering a huge black hole in the side of the cliff, hermit crabs and other creatures scuttling around in the blackness, with only two beams of light from our torches to show us to way. We surfaced inside the cave, which was surprisingly warm, and found ourselves in a high ceilinged cavern somewhere underneath Malta. It was a truly bizarre experience. After a day at the shallow reefs near Qawra Point we rounded off the trip with a day around Malta’s beautiful capital city of Valletta, built by the Knights Hospitaller in the 1500s, and a tour around the Maltese National Aquarium just nearby our hotel, which was full of the moray eels, common rays and huge groupers that we had not yet seen while diving around the island. Malta was an absolutely fantastic trip, and I hope I can go back some day to enjoy the warm Mediterranean waters again. 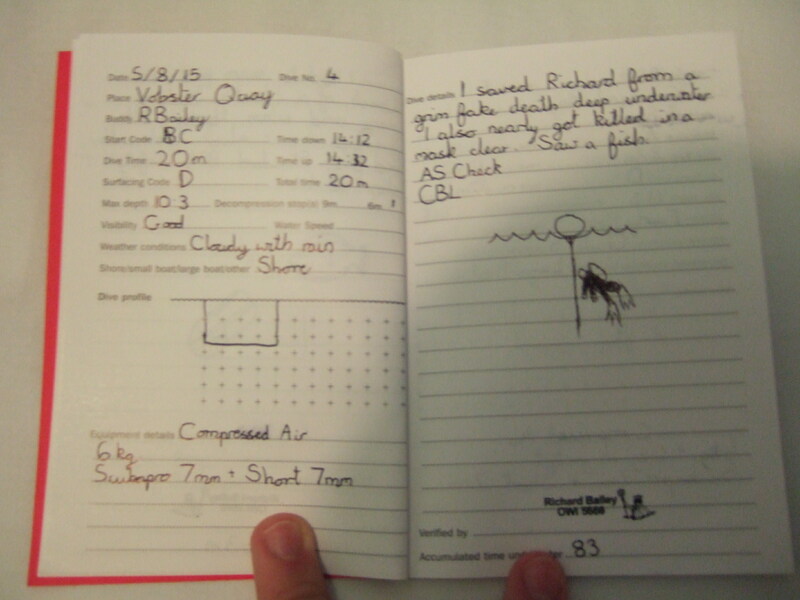 Between the 2nd and the 7th of July I went on a trip with my school to go diving in the Plymouth Harbour. I’ve been learning with the sub aqua club for a few months and these were the first open water dives that I would do, out of the pool actually being able to look at the wildlife that inhabits the waters of Britain first hand. These dives were also essential for my BSAC (British Sub-Aqua Club) Ocean Diver qualification, and I had a number of tests, as well as over 2 hours of open water diving to complete in order to become a qualified Ocean Diver and enjoy all the perks that come with that. 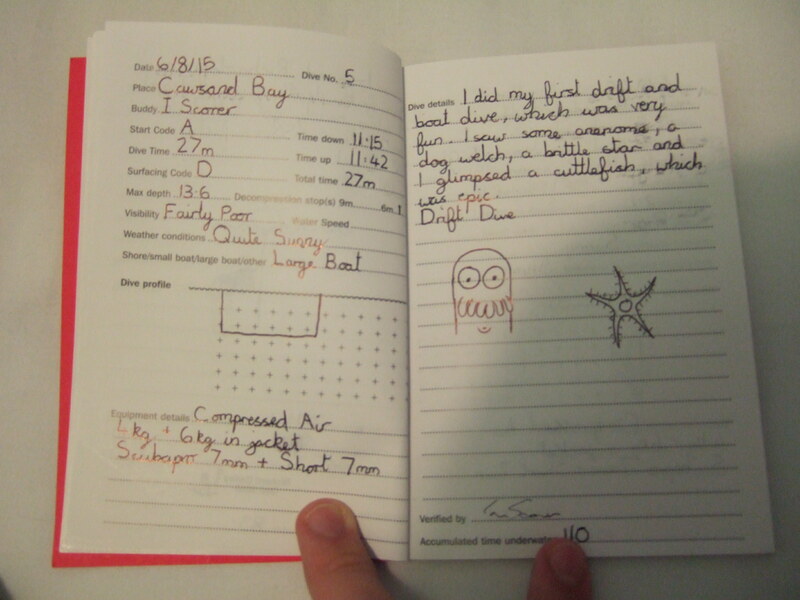 After 6 wonderful dives and a bit of theory, I am happy to say that I am now an Ocean Diver and have recorded all of my dives in my log. I am now moving on towards my Sports Diver qualification. When you are diving in a new area, it is always important to become used to the layout and to check that your buoyancy is correct for deeper, more advanced dives. In light of this, the first dive of the week was a buoyancy check, adjusting weight belts and jackets so that I could hover in the water without having to wave my arms about, like normal swimmers. When diving without a wetsuit a weight belt is not needed, but since the water was extremely cold I needed to wear one for the dive. Wetsuits hold a certain amount of air in them when you dive, which makes you more buoyant and can lift you to the surface dangerously so the weight belt counteracts this. Additionally, water with a high concentration of salt, such as the ocean, is easier to float in so again more weight must be added to the belt to adjust. Pairing up, we took to the water, a sheltered area of the harbour with a shallow bottom and several small kelp forests. The descent to the water was slippery, especially in our heavy equipment. My mouthpiece tasted unpleasant and salty from the water, and cold ocean trickled down my back into the wetsuit, insulating me from the colder water outside. Sadly I had unbalanced my weight belt and so I spent most of the dive with it trying to pull me onto my back, but I learned the important lesson and next dive my belt was in order. We went down again, later that day, to a shallow 3.5 metre depth in order to begin the tests I would need to pass to become an ocean diver. We travelled out into the middle of the alien-scape, waving arms of seaweed and darting blurs of fish, and there we sat down at the edge of the larger kelp forest. Here I proved that I was capable of removing my VR (the direct air supply) and finding it again, and that I could take off my mask and replace it underwater, using my nose to clear it of water. I was awarded with a small clap that signals ‘well done’ and we swam amongst the kelp a little more before surfacing. Throughout the first day the visibility had been horrible, pieces of algae and spawn preventing me from seeing for than a metre in front of myself, if that. It had been choppy too, churning about, and sadly this only got worse on the second day, when we were prevented from diving, since it was unsafe. I did some theory instead and prepared for my exam. On the 5th, to avoid a day without diving, like the last, we moved into Somerset to a filled in quarry called Vobster Bay, which had been made specifically for diving. They had sunk down several speedboats and cars to dive around, as well as the wreck of a Hawker Siddeley plane, whose fuselage I swam through. Small silver fish with red fins and tails swam around me, almost close enough to touch. It was a truly strange experience, like looking out of a fishbowl into a different place almost like I wasn’t really there. I seemed hard to believe I was so close. We went down to 15m for that dive, scooting amongst the wreck. Now it was time for me to complete the CBL (Controlled Buoyant Lift), the hardest practical test I would need to complete as an Ocean Diver. My dive partner Richard became purposely limp at 10m down, pretending to be unconscious. I tapped his mask to make sure that he was alright, then grabbed the straps of his dive jacket so that we would not drift apart. Still holding on with one hand, I inflated Richard’s jacket, while venting my own, allowing him to pull both of us steadily upwards. If I had lost my grip on Richard he would have shot to the surface. At 10m down that’s not so dangerous, but from a deeper depth in a real emergency, the DCI from such an ascent could kill a person. One we reached the surface, ignoring the standard BSAC 6m decompression stop, I gave the signal to the ground crew that everything was alright and that it was only a drill, before grabbing the top of Richards tank and towing him to the shore. I did very well and I’m quite proud that I managed to save Richard. On the final day of diving, we returned to the Plymouth Harbour to go out on a drift dive. In a drift dive you simply sink to the bottom of the sea bed and allow the current to take you where it wants while you look at the wildlife living in the water. We headed out on the boat to an area called Cawsand Bay and my partner, Ian, and I dropped backwards off the boat into the water. As the current took us about the harbour, Ian and I saw a number of interesting animals, such as tiny anemones that shot back into the safety of the sand when we approached, brittle stars, with their bristly black arms, and even a cuttlefish, one of the strangest things that can be seen in the ocean. These small creatures, pictured below, move by undulating the plates at the side of their body, and can move quickly to capture fast moving shrimps and fish. They have been known to communicate by changing their colour in strange and complex conversations that show their emotions. It was a real treat to see one up close. 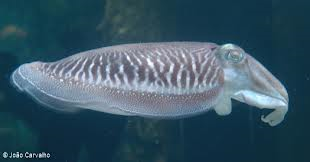 This is not the cuttlefish I saw, but it is the same species. In order to complete my Ocean Diver qualification I needed 10 more minutes of diving, to lead a dive, and to pass the exam I had been preparing for. The exam was extremely easy, more common sense and a bit of book reading than actually challenging questions. I passed the exam with flying colours, 29/30. My dive leader attempt was less successful, getting lost and leading Ian through several kelp forests before becoming beached on low tide. Luckily, I had given an excellent briefing and debriefing for the dive and had been attentive to Ian’s wellbeing while under the water, and that was mainly what was being looked for. I’m sure that I will improve as I lead more dives. Diving is a truly magical experience, the closest that you can get to and alien world while staying on the planet. Unless you intent to become a Marine Astrobiologist, and head off to Europa. I can’t recommend the experience enough, as every moment under the water is the best experience you can possibly have. 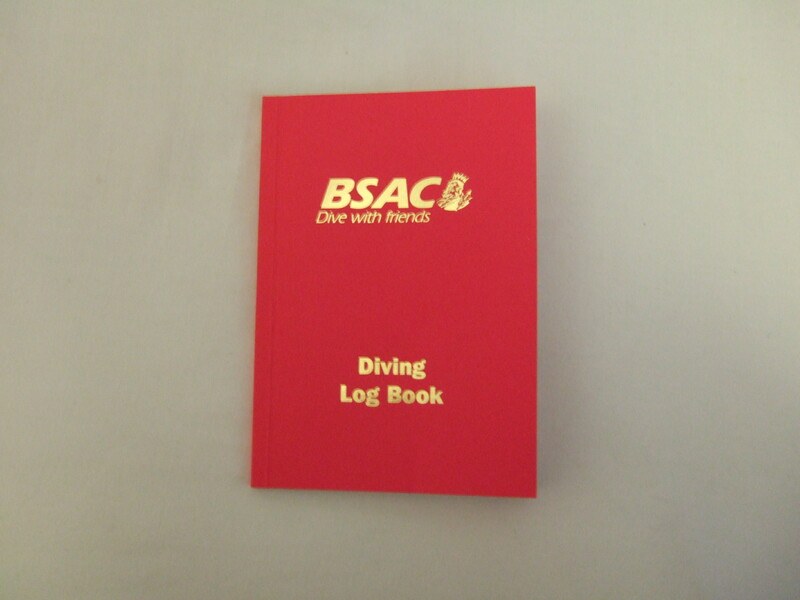 If you are interested in joining the BSAC group and learning how to dive, visit here. It is only a small fee, and then any BSAC qualified member will teach you whenever you need. As a now proud Ocean Diver, I am looking forward to my next big diving trip, possibly in Malta, and I shall continue to learn with my school club.